Thank you for your interest in our Three Bank Case Study. 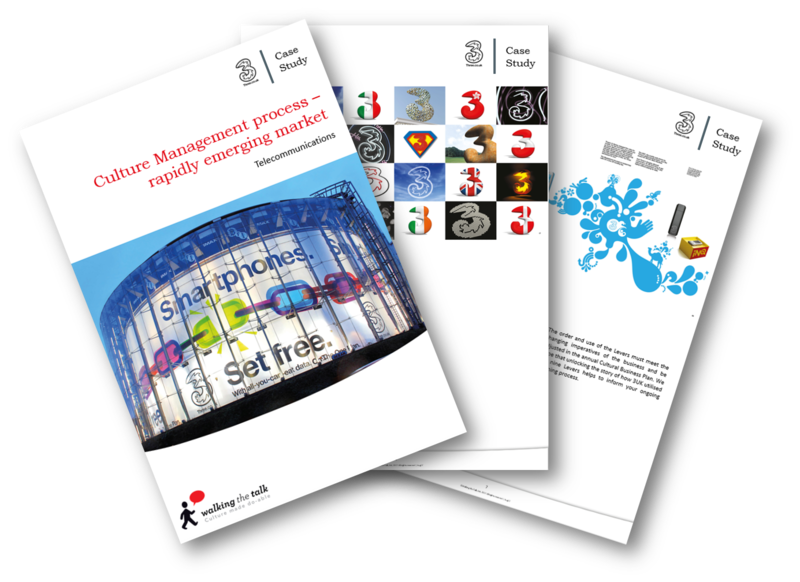 This case study follows the cultural management process of 3UK, a British telecommunications company, focused on rapidly emerging 3G mobile internet services, for the years 2007- 2011. The Walking the Talk methodologies and tools were integral to the cultural change that took place during this time.